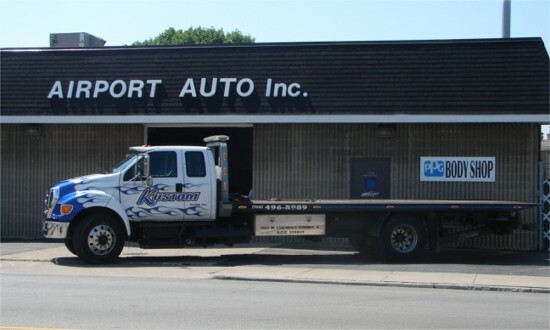 Contact Kustom Towing at 708-496-8989 to have your car safely towed to our facility. See our accident page if you need more information about what to do after an accident. This Kustom Towing truck was custom painted by Airport Auto Rebuilders.